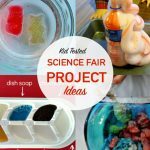 Do you know about the growing gummy bear experiment? It takes very little room, isn’t messy, and kids love it! My kids and I stopped at the drug store for baby wipes, and my 3.5 year old bombarded me with five minutes of excitement that sounded like this, “Mom, stop! You have to see this. Mom, can you get me this light up candy cane/cup shaped like a fairy/snow globe. Wait!!! I really want it!” Ugh. Why do stores have to put all their bling at child height? I normally adore her enthusiasm, but I have a short wick for the begging and pleading for random odds and ends. Pair that with a one-year old who insists on standing in the shopping cart and you get the picture of me yearning for a hot cup of coffee and a trashy magazine. In my mom-haze I accidentally walked us down the candy aisle on the way to check out. Dumb move, I know, and my older daughter quickly managed to pull a bag of gumdrops off the display with a request to make gumdrop sculptures. Ack. She knows my weak spot for creative projects! Um, yes, we can buy the gumdrops for the sake of your growing mind. And with that, she also pulled down a pack of gummy bears. I remembered reading about a gummy bear experiment, and that’s how we ended up bringing these little jelly woodland creatures home with us. 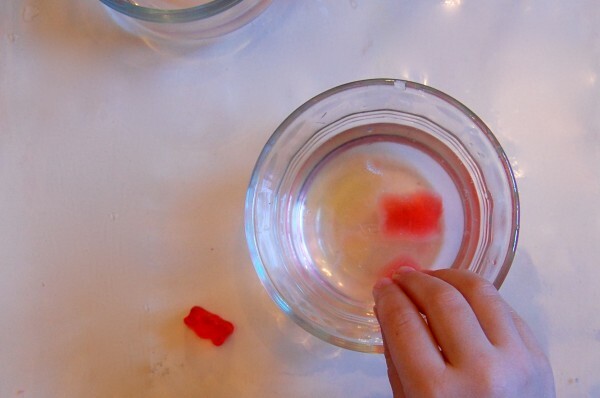 Add a gummy bear to water. Check on it after a couple hours and compare its size to the original gummy bear. See what happens if you leave this in the water for one day, two days, and three days. Set up a number of bowls and place one gummy bear in each one. 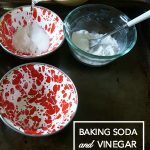 Add different liquids to each bowl (water, soda, vinegar, etc.) and see how or if the solutions change the results. Document the changing scale of the gummy bears with drawings or photographs. Compare the taste of the plump bears with the original bears. My older daughter and I each had to eat one, of course, we chose a couple to add to the water. I asked her what she thought might happen to them after being submerged, and she said she didn’t know. After a couple hours we checked on them, and found them covered in tiny bubbles. 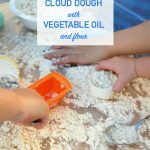 We compared them to one of the dry originals, and the wet bears were a bit plumper! I left 3.5 year old N in the kitchen while I put her baby sister down for a nap, and returned to find her nibbling on one of the plump bears!! She had this to say, “I know I wasn’t supposed to eat the bear, but I had to also compare the way they taste to see if they tasted the same.” How could I be upset with that? In all, we let the bears sit in water for three days, and you can see the size difference in this image. The gummies kept expanding and then finally seemed to fall apart. If you try this at home, and want to do a taste comparison, be sure to refrigerate your gummy bears so they don’t grow bacteria. Yikes! Gummy bears are made up of water, sugar, and gelatin. 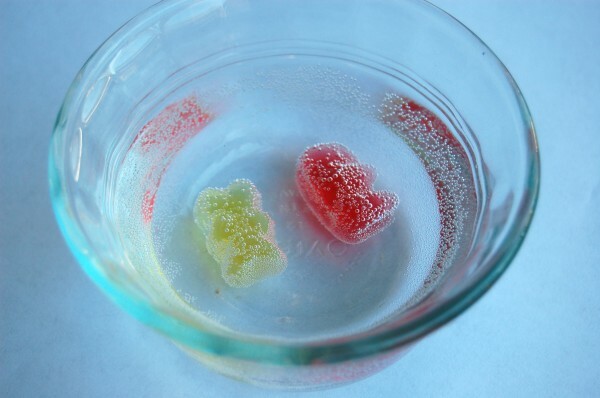 Like a sponge, gummy bears will absorb water but the gelatin keeps the bears from dissolving in the water. 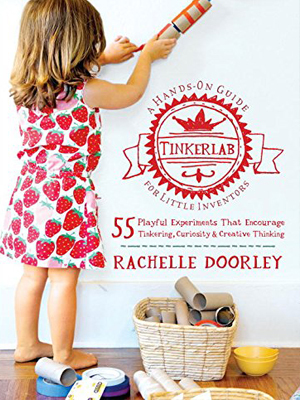 If you enjoyed this project there are more ideas like this in my best-selling book, TinkerLab: A Hands-on Guide for Little Inventors (affiliate). Try soaking one in water and one in salt water. I saw that experiment on Pinterest. 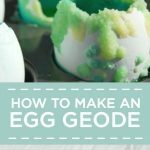 Oh, I love Pinterest! That’s a great idea — thanks for sharing. On Monday, as we picked up antibiotics for the kids’ agonizing ear infections, I voluntarily marched them to the candy section to grab a bag of gummy bears. Â I just felt so sorry for them, and the gummy bears definitely cheered them up. Â So, knowing we have an essentially full bag hiding in my secret spot, I showed the kids your experiment. Â As they followed the progression of familiar gummys to blobs of color, they both said, “Nah, we don’t want to do that. Â We just want to eat them.” Â Oh well. Ouch, sorry to hear you’re on antibiotics over there, Chelsea. N would have said the same thing in their position — I think she saw this experiment as a means of getting the little sugar bullets into our house in the first place! Ha! How crazy that you just landed on this experiment. I guess that’s how many things were once discovered. And yes, the taste is pretty tasteless…my daughter wasn’t impressed either. I just saw a similar experiment on the other blog where they also compared with what happened to a bear put into a salty water. Pretty interesting! We accidentally figured this out when we put fish into blue jello for my son’s birthday (https://tinkerlab.com/2011/06/12/pirate-themed-birthday-party/) … instead of fish, we got whales! 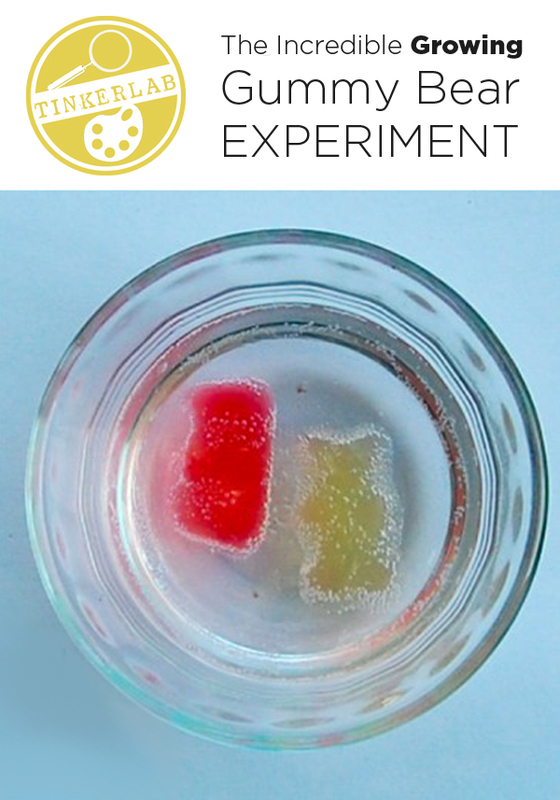 I want to try this experiment but I also want to eat the gummy bears after. What can I add to the water so that it tastes better? I think I might try to change the type of water. You know like salt water, chlorine water, fresh water and see if they have the same results. 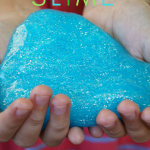 What a great idea for further experiments, Selena. Thank you! 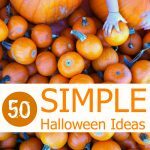 Try this with different brands of gummy bears and with different liquids. Salt water (as mentioned above) is really fun. But please don’t eat them if they have been in the liquid very long — so much bacteria! 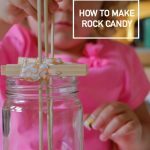 We also tried it with gummy worms (those are cool!) and giant gummies. 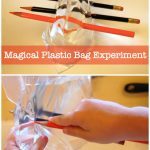 Have a bag of bears waiting just for this experiment! Such fun! Not really anything to do with the experiment, but advice on a child in a cart. When we were little, my mom would tie our shoe laces together so we couldn’t get our feet out and onto the seat to stand up. The only trick is finding and remembering to use shoes with laces. It’s been a while since I’ve read this post and it took me a minute to catch the reference! Good tip — thanks for that.